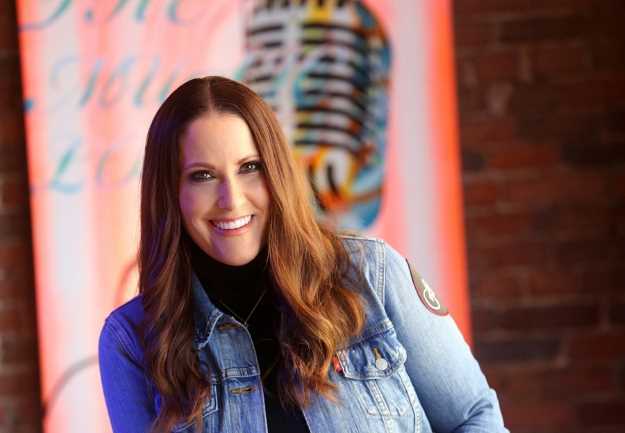 Sandy Howard arrived in Nashville by way of Florida when her brother, country star Tim McGraw, invited her to move here. "My brother begged me to move here," Sandy says with a laugh. "We are a very close-knit family, and he had this dream of us all being in the same town again." So Sandy's family, complete with four kids (including newborn twins), packed up and headed to Music City. 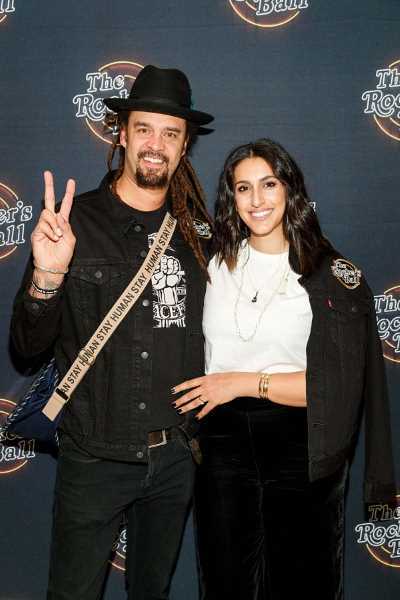 Now a Nashvillian, and with music clearly in her bloodline, it's perhaps not surprising that Sandy is also working in the music industry - as well as the wish-granting industry - as the Program Director for Do It For The Love, a nonprofit started by rocker Michael Franti and his wife, Sara Agah Franti. The organization pairs critically ill children and adults as well as wounded veterans with a live musical performance of their choosing - an experience designed to inspire hope and healing. Sandy's passion for the organization and its mission is inspiring, and we're certain you'll be moved by the work she does, the message she and DIFTL's founders are spreading, and the ways in which they're changing lives. 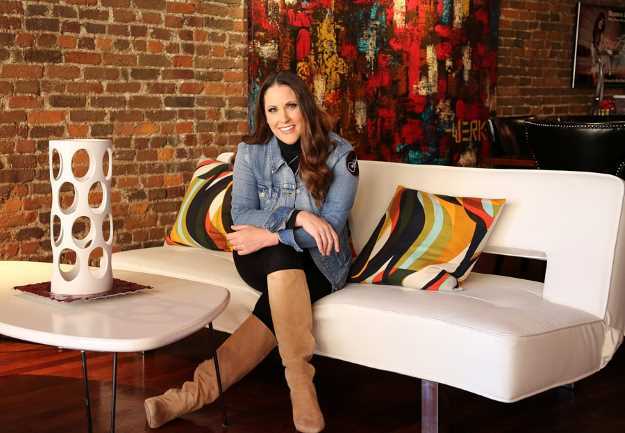 Meet our newest FACE of Nashville, Sandy Howard! How was Do It For The Love founded, and by whom? 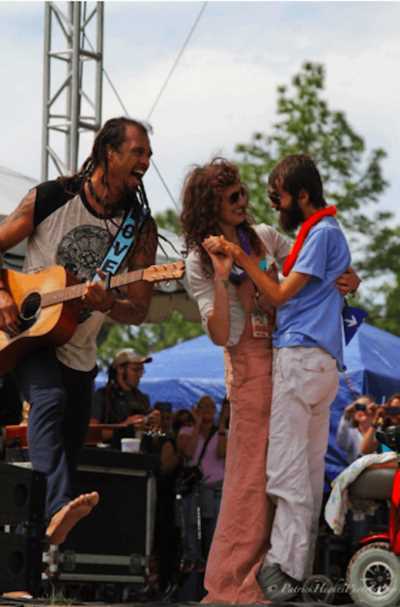 Do It For The Love was founded by Michael and Sara Agah Franti. In 2013, Michael was contacted via Twitter by a woman named Hope. Her boyfriend, Steve, had been diagnosed with ALS. He's a huge fan of Michael's, so Hope was trying to find a place where they could have him meet Michael and see a show. A few months later, Michael invited them to his Atlanta show, and he brought them up on stage. As Michael was singing their favorite song, Steve looked at Hope and said, "I want to dance with you." At that time, all he could move was his head and neck, so Hope lifted him from his chair and held him and danced with him on stage while Michael sang "Life is Better with You." Michael's wife Sara is an ER nurse, and they had been looking for something to do together to bring both of their worlds together - music and medicine. That night, after that particular show, when Michael and Sara went back to the bus and talked about the impact felt from the crowd, the band and them - there was not a dry eye - they decided that was what they needed to do ... to inspire healing of the body, mind and soul through the power of music, which is how Do It For The Love (DIFTL) was formed. How did you get involved in DIFTL? I have consulted on events and fundraising for years, and my friend Kelley O'Brien in San Francisco has an events company. Three years ago she asked me to help her with DIFTL's first fundraiser, The Rocker's Ball, and that's how I met Michael and Sara. We hit it off and got to know each other. I was in a transition, deciding whether I wanted to continue working on my own or for an organization, and they needed someone to run their programming. Now I'm the Program Director, and they've become some of my best friends. I believe they have huge hearts, a capacity for goodness and a desire to spread that around and to help people. To listen to them talk about people - you see why Michael Franti has named his recently released documentary Stay Human. They're making sure the world sees music as something that can bring us all together - something we all have in common. There's a connection when a song comes on that we both like - we can talk about what the lyric means and try to find common ground. What is the mission of DIFTL? DIFTL is a nonprofit wish-granting organization that brings adults and children with life-threatening illness, children with severe challenges, and wounded veterans to live music events. Simply put, the mission is to bring joy, foster hope and inspire healing through the power of music. Describe the model - how does it work? 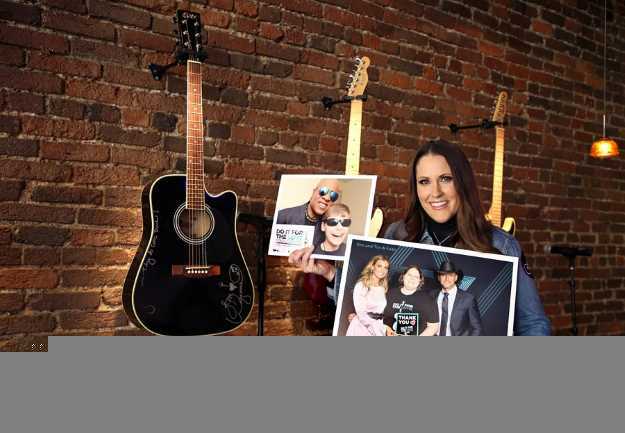 You can nominate someone, or you can apply for yourself or your child to go to a live music event, concert or musical - anything that is live music-based. There's a form for the doctor to fill out for the diagnosis, and when the diagnosis is confirmed, you're approved or denied. If approved, then we look at the choices for concerts, and we try to accommodate the first choice of person or song that inspires the wish recipient the most and brings comfort. They can go to a show so that for a minute or three minutes or even an hour, they can forget about the illness that they deal with daily. Tell me about a memorable experience you have had since beginning work with Do It For The Love. We sent a woman name Kim Ramzthel to meet Tim and Faith. She is fighting Stage 4 metastatic breast cancer. There's no cure, but she can go through treatments. She reached a point where she thought she may want to avoid treatments, but we sent her to see them, and she was re-inspired to fight the good fight. 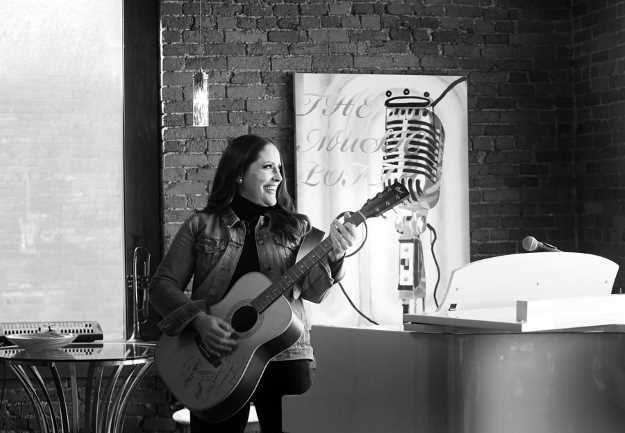 "Live Like You Were Dying" inspired her, and after meeting Tim at that show and hearing the song live, she felt inspired to continue with treatments. That night, it just made her forget all about her cancer for just a little while. And now, when she wants to get away from it, she thinks about that night again. The interesting thing about Kim's story is actually her husband, whose words re-inspired me in my job. We invited them to attend our annual event, The Rockers Ball, in November and for Kim to be the keynote. Her husband stepped out for a minute, and I went to check on him. He was out there talking to someone who had come to accept an award, and their conversation was about what her experiencing that moment did for him - as her husband watching her battle her illness. Seeing her after she went to the show and watching the new light and vibrance that she had to go forward and fight, and the will that that one night gave her, he was affected because it allowed him to see his wife happy again. That's the reason we ask for up to four tickets for the shows and events, because we want it to be a collaborative experience for the family. We want them to see the joy. Can I say that music heals the body internally? No, but can I say that if you're soul is feeling defeated and you get to go meet the person who inspires you and spend an evening in the room with people that feel the same way about that music, it can inspire you to fight harder and potentially live longer? Yes I can. How many wishes have been granted since DIFLT began? More than 2,000 since 2013, which equates to over 8,000 people who have been inspired since we provide four tickets per show. How does DIFTL differ from Make A Wish? We send any person - adult or child - diagnosed with a life-threatening medical condition; children with severe developmental challenges or physical, mental, or emotional disabilities, or living with intense family trauma; and veterans who were wounded in the line of duty, including PTSD, to live music events because we believe that music inspires the healing process. How does someone nominate someone to be a wish recipient? They go on our website and there's a nominate button [found HERE]. Click it, fill it out, and we will reach out to you. If artists want to get involved, what's the best way to do so? All they have to do is reach out and say, "Hey! We want to be involved." I'd love to hear from them. When you're not working, where can we find you? At Ensworth, sitting court-side watching my youngest boy play basketball, or dropping my daughter at violin lessons, or just hanging out with my family. Or karaoke on the weekends! I love singing The Judds - '90s country is my thing! What's the best advice you've ever been given, and who gave it to you? You can always achieve what you work for - my brother taught me that. Aside from faith, family and friends, what are three things you can't live without? Karaoke, shoes and my job - I love my job! Thank you, Sandy, for your contagious passion and dedication to improving the lives of others. To learn more about Do It For The Love, including how to volunteer or nominate someone to be a wish recipient, visit doitforthelove.org. Thank you to Leila Grossman of Grannis Photography for the beautiful photos of Sandy.